Several times in the past the church at Deane has organised fund raising events. 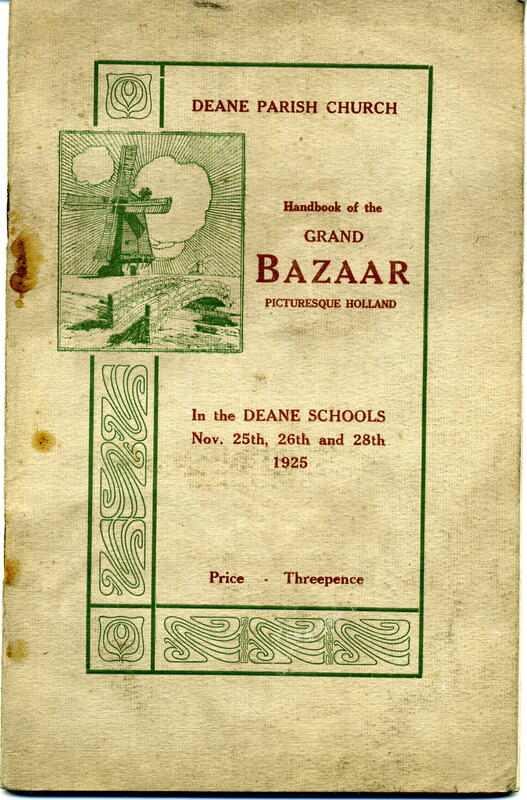 This one was held on 25th, 26th and 28th November 1925. For the past ten years, there had not been an official vicarage house at Deane. The previous one in the churchyard had been demolished and money was being raised to buy one on Junction Road, called the Bakewells.